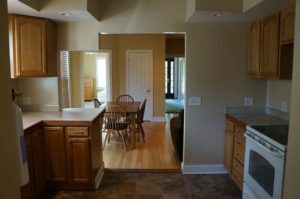 Home staging is a major player in a home sale. How your home looks, feels, and even smells can influence buyers’ decisions, so it’s important to present your home in the best light. Cleaning, decluttering, and rearranging furniture are essential to preparing your home for showings, but it can be tempting to take a few shortcuts to get your property on the market faster. Out of all the home staging shortcuts that can hinder your home sale, these you should avoid at all costs. Your property needs to shine on the market — don’t dim your home’s sparkle. Natural light works wonders to maximize space, especially for small floor plans, so it’s important to let in as much sunlight as possible when staging your home. Throw open the curtains, trim any shrubs blocking the windows, and polish the glass to welcome in the natural sunlight. Nothing stops home buyers in their tracks faster than loud paint colors that don’t match their personal style. After all, one buyer may prefer rich earthy reds while another may be drawn to calming blues and greens. Instead of painting your walls in oranges, purples, and electric greens, opt for neutral tones like off-white or beige to appeal to as many home buyers as possible. On the other hand, you can go too far with neutralizing your space. Remember, home buyers are likely looking at several different properties, so you need to make sure yours stands out — and that buyers can envision themselves living in your home. Splashes of color here and there are enough to draw buyers’ eyes without distracting them from the overall look and feel of your home. The trick is to find a balance between the bold and the neutral colors. Need advice? We’re more than happy to provide some pointers. Home buyers can fall in love with a property merely from the listing photos. But if a foul odor greets them at the front door, they won’t stick around for long. The whole goal of home staging is to present your property in the best light, both for listing photos and for potential buyers. If you have questions about what it takes to sell and market your home, give us a call and let’s chat.